A transfer of real property in South Dakota is an act of the interested parties, or of the law, by which the title to real property is conveyed from one living person to another (43-4-1). An estate in real property, other than an estate at will or for a term not exceeding one year, can be transferred by a deed in writing, subscribed by the party granting the estate, or by the grantor's agent authorized in writing (43-25-1). Real property in South Dakota is commonly conveyed through the use of a warranty deed or quitclaim deed. The statutory forms for a conveyance provided in 43-25-5 to 43-25-8 do not prohibit the use of other forms, affect the validity, or control the interpretation of other forms of warranty or quitclaim deeds. Ownership of real property in South Dakota is either absolute or qualified (43-2-4). Absolute ownership is defined as a single person having absolute dominion over the property who may use it or dispose of it according to their pleasure, and is subject only to general laws (43-2-5), whereas qualified ownership is real property that is shared with one or more persons, or with a time of enjoyment that is deferred or limited, or with restricted use (43-2-6). The power to take, hold, and dispose of real or personal property in South Dakota is given to any person, whether they are a citizen or alien (43-2-9). There are, however, restrictions on alien ownership of agricultural land in South Dakota, as explained in 43-2A-2 of the South Dakota Codified Laws. Property in South Dakota can be owned and conveyed by a single person, by several persons in joint tenancy or as interests in common, or owned by several persons in partnership. The South Dakota laws on a conveyance of land held in adverse possession are as follows: Any person, although they may be out of possession, who is claiming right or title to lands, although there may be an adverse possession of the land, may sell, convey, or transfer his or her interest in the same manner as if he or she were in actual possession of the lands being conveyed (43-25-2). The manner of conveyance is determined by how the title to real property is held. 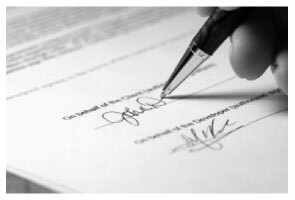 In South Dakota, a real estate deed should be signed and acknowledged by the grantor or grantors. If the grantor's signature is not acknowledged, the deed must be proved by a subscribing witness (43-25-26). A real estate deed delivered conditionally to the grantee is ineffective. An instrument will take effect upon absolute delivery (43-4-8). A deed that is handed to the grantee or received by constructive delivery is considered absolute. Real estate deeds must be accompanied by a full and complete Certificate of Value. The certificate should include the name and address of the buyer and seller, the legal description of the real property, the actual consideration exchanged for the property, the relationship, if any, between the buyer and seller, and the terms of payment if other than payment in full at the time of the sale. An unrecorded real estate deed will be valid as between the parties to it and those who have notice thereof (43-28-14). Instruments that are essential to the title of real property and which are not kept in a public office as a matter of record belong to the person in whom, for the time being, the title may be vested, and pass with the title (43-25-27). When an instrument is proved and certified, and then recorded, it is constructive notice of the execution of the instrument to all purchasers or encumbrances subsequent to the recording (43-28-15). The priority of recorded instruments in South Dakota is determined as follows: Every conveyance of real property, other than a lease for a term not exceeding one year, is void against any subsequent purchaser or encumbrancer including an assignee of a mortgage, lease, or other conditional estate of the same property, or any part thereof in good faith and for a valuable consideration whose conveyance is first duly recorded (43-28-17). Any person who holds real estate or interest therein under a quitclaim deed is considered to be a purchaser in good faith and for a valuable consideration, unless such person had actual notice or knowledge of a prior unrecorded conveyance affecting the title to such real property at the time the conveyance was executed and delivered (43-25-12). John B. said: Forms are as advertised and easy to access. Robert T. said: Perfect. Downloaded the forms with no issues, filled them out, had them notarized and recorded all in just a few hours (most of that time was spent at the recorder's office). Highly recommend. Rita M. said: Forget what I just wrote! I found it. Thank You! This is a very convenient service. Reply from Staff: That's great to hear Rita, thanks for following up.